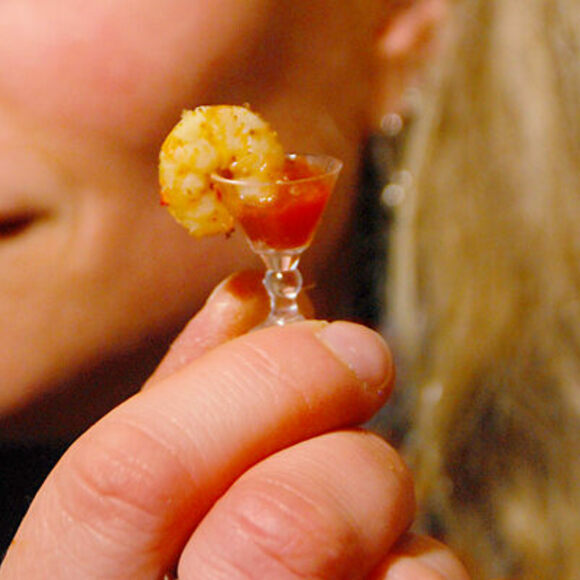 Good things come in small packages, but at the Small Foods Party, great things come in hilariously tiny packages. Baltimore locals have been shrinking wontons, crab cakes, banana splits, and other conventionally human-sized dishes since 2006. A group of artists began the tradition at a holiday gathering. The creative lot found that bite-sized appetizers could be an ambitious venture, and competition ensued. Over the years, the hors d’oeuvres shrank, but the festivities grew. The annual shindig-meets-showdown now draws more than 500 people. Participants vie for everything from the Bad Idea to the International award. ​The grand prize? A giant, decorated can of mini corn and the chance to host the next year’s event. To earn the title, one team performed as an assembly line of uniformed employees cranking out miniature “Crappy Meals,” complete with a burger, fries, and lidded drink. The most innovative contestant takes home the Bright Idea award, while the chef with the best reproduction of a full meal claims the Blue Plate Special. Fingertip-sized cupcakes and tiny sub sandwiches are among the past winners of the Golden Toothpick, which praises the most impressive proportional difference between full-sized original and mini re-creation. Another participant earned the Yummo! award (honoring the party’s decree, “Thou shalt not compromise taste for smallness”) with a Caesar salad atop a piece of fried parmesan. But all the small food is part of a larger picture. The event benefits Moveable Feast, an organization that brings nutritious food to people with life-threatening and chronic illnesses in Maryland. Anyone can enter or simply attend the competition at Baltimore’s American Visionary Art Museum. Yes, there will beautiful, artisanal food; but no, you should not come hungry. The Small Foods Party has filled up in past years. If you're interested in competing or enjoying lilliputian snacks, reserve a spot online. The annual site of the Small Foods Party.